™/®The Hyundai name, logos, product names, feature names, images and slogans are trademarks owned or licensed by Hyundai Auto Canada Corp. All other trademarks are the property of their respective owners. †Finance offers available O.A.C. 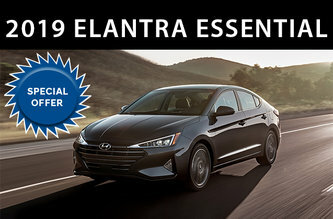 from Hyundai Financial Services based on new in-stock 2018 Tucson 2.0L FWD/2018 Tucson 2.0L Premium FWD/2018 Elantra GT GL manual/2019 Elantra Essential manual/2019 Accent Essential manual 5-Door/2018 Sonata GL auto/2019 Santa Fe XL Essential FWD models with an annual finance rate of 0%/0%/0.99%/0%/0.99%/0%/0.99%. Weekly payments are $65/$72/$63/$70/$46/$99/$91 for 84/84/84/60/84/60/84 months. $2,845/$2,845/$0/$0/$0/$0/$2,895 down payment required. Trade-in value may be applied to down payment amount. Selling price is $26,679/$29,129/$23,069/$18,329/$16,908/$25,729/$36,065. Cost of borrowing is $0/$0/$790/$0/$579/$0/$1,136. Finance offers include Delivery and Destination charge of $1,805/$1,805/$1,705/$1,705/$1,605/$1,805/$1,905. Any dealer admin. fees, registration, insurance, PPSA, fees, levies, charges, licence fees and all applicable taxes are excluded. ◊Leasing offers available O.A.C. 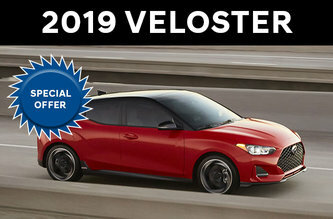 from Hyundai Financial Services based on a new 2019 Elantra Essential manual/2019 Elantra Preferred manual/2019 Kona 2.0L Essential FWD/2019 Kona 2.0L Preferred FWD/2019 Veloster Manual/2019 Santa Fe 2.4L Essential FWD/2019 Veloster Turbo manual with an annual lease rate of 1.99%/1.99%/2.49%/2.49%/4.99%/1.99%/4.99%. Weekly lease payment of $45/$50/$55/$60/$65/$80/$80 for a 60/60/60/60/60/48/60-month walk-away lease. Down payment of $1,095/$1,095/$2,145/$2,145/$1,995/$2,395/$2,145 and first monthly payment required. Trade-in value may be applied to down payment amount. Total lease obligation is $12,802/$14,141/$16,520/$17,791/$18,938/$19,090/$23,038. Lease offer includes Delivery and Destination charges of $1,705/$1,705/$1,805/$1,805/$1,705/$1,905/$1,705. Any dealer admin. fees, registration, insurance, PPSA, fees, levies, charges, licence fees and all applicable taxes are excluded. $0 security deposit on all models. 16,000 km allowance per year applies. Additional charge of $0.12/km. ΩPrice adjustments are calculated against the vehicle’s starting price. Price adjustments of $1,000 available on finance purchase only of new in stock 2018 Sonata models. Price adjustments applied before taxes. ^0 payments (payment deferral) for 90 days is available on finance offers of in-stock 2018/2019 Hyundai models. Payment deferral offer applies only to purchase finance offers on approved credit. If the payment deferral offer is selected, the original term of the finance contract will be extended by 2 months (60 days). Hyundai Auto Canada Corp. will pay the interest during the first 2 months (60 days) of the finance contract, after which the purchaser will pay all principal and interest owing in equal installments over the remaining term of the contract. Payments on finance contracts are paid in arrears. ^^For finance contracts payable on a weekly and bi-weekly basis, purchasers who select the payment deferral offer may have to make their first weekly or bi-weekly payment sooner than 90 days from purchase. Down payments are not subject to the payment deferral offer, and are due on the date the contract is signed. Hyundai Auto Canada Corp. reserves the right to amend or terminate this offer, in whole or in part, at any time without prior notice. Additional conditions and limitations apply. Ask your dealer for details. 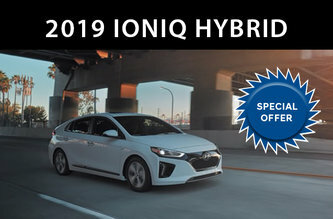 ΔBoxing Month Bonus of up to $1,000 available on select in-stock 2018/2019 inventory vehicles only, on lease, finance and cash purchase. Bonus is applied before taxes. Offer is non-transferable and cannot be assigned. Model inventory for which the bonus is applicable may vary from dealer to dealer and from region to region. 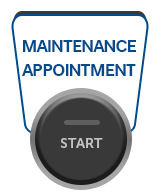 See your local Hyundai dealer for further details and applicable model inventory. 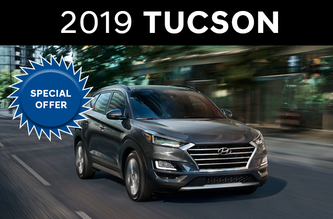 ♦Price of model shown: 2018 Tucson 1.6T Ultimate AWD/2019 Elantra Ultimate Intense Blue/2019 Kona 1.6T Trend Pulse Red with Black Roof/2018 Elantra GT Sport Ultimate DCT Phoenix Orange/2019 Accent Ultimate auto 5-Door/2019 Veloster Turbo Tech DCT Tangerine Comet with Phantom Black Roof/2018 Sonata 2.0T Sport Fiery Red/2019 Santa Fe 2.0T Ultimate Turbo AWD/2019 Santa Fe XL Ultimate is $38,299/$27,549/$27,199/$30,649/$21,299/$30,799/$37,149/$45,149/$48,579. Prices exclude Delivery and Destination charges of $1,805/$1,705/$1,805/$1,705/$1,605/$1,705/$1,805/$1,905/$1,905. Any dealer admin. fees, registration, insurance, PPSA, fees, levies, charges, licence fees and all applicable taxes are excluded. ♦†^^◊ΩΔOffers available for a limited time and subject to change or cancellation without notice. Vehicle colour is subject to availability. Delivery and Destination charge includes freight, P.D.I. and a full tank of gas. Dealer may sell for less. Inventory is limited, dealer order may be required. Offer cannot be combined or used in conjunction with any other available offers. Offer is non-transferable and cannot be assigned. No vehicle trade-in required. Visit www.hyundaicanada.com or see dealer for complete details. 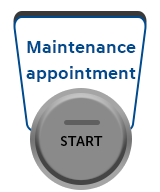 ††Hyundai’s Comprehensive Limited Warranty coverage covers most vehicle components against defects in workmanship under normal use and maintenance conditions. ±Certain restrictions apply. Customers must present their proof of Military relationship and I.D. at time of purchase to receive special price discount off their purchase. Program subject to change or cancellation without notice. Visit military.hyundaicanada.com or see dealer for complete details. ▾Available feature. For more information, visit www.iihs.org. **For J.D. Power 2018 award information, visit jdpower.com/awards. 1For further details, terms and conditions visit www.hyundaicanada.com/buyright or your local dealer.